June 20, 2013 /1 Comment/in Foot Health & Hygiene /by Jenn F.
More than 80 types of bacteria have found a happy home on our feet. In fact, different types of foot fungus, bacterial colonies and microbes prefer to live in different places — some on the sole, some in between the toes, some on the tops of our feet. It really is a diverse, thriving colony. Gross, right? The reality is that this bacteria can’t hurt us just sitting there. 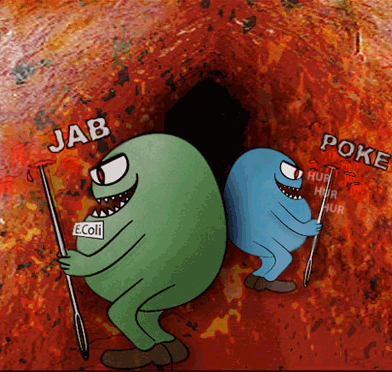 The microbes need a pathway inside the body, where it can cause a wealth of disgusting and uncomfortable side effects. Here are five ways bacteria can cause a foot infection. Cellulitis is a serious bacterial infection of the skin that can cause infection of a muscle, bone or heart valve and fatal blood poisoning. One patient in the UK was told that severe cracked heels had let this killer bacteria enter his body. “I’d had athlete’s foot since I was a teenager, and on top of a recent attack, which I’d been treating with an anti-fungal cream, had developed a secondary fungal infection that had caused the cracks,” he said. “The unbroken skin over a blister provides a natural barrier to infection,” according to the National Health Service in the UK. “It’s important that the skin remains intact to avoid infection.” Unfortunately, many of us just cannot leave well enough alone. We find the blister to be unsightly and imagine that it will heal faster with our intervention. In reality, the best thing you can do is avoid touching the broken skin with your hands and place Neosporin and a Band-Aid over it instead. MRSA and other types of serious infections are commonly picked up through blisters, so it’s nothing to mess around with. 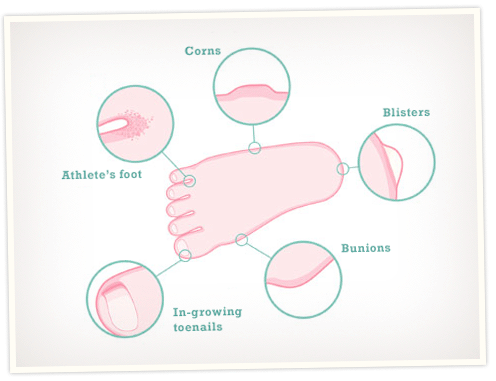 Ulcers — open breaks in the skin — usually occur due to poorly fitting shoes. If left untreated, they can turn into infected sores. This type of wound is especially dangerous for diabetics. Every 30 seconds, a diabetic loses a lower limb due to an infection. Doctors recommend putting a triple antibiotic cream on the sore immediately, covering the wound with a light gauze to keep pressure off the area, and visiting a local wound center within a week at most. “”There’s no such thing as ‘just a little cut,'” says Harold Brem, director of the Wound Healing Program at Columbia University College of Physicians and Surgeons. So hopefully what you’ve learned is that you should not walk around barefoot! Furthermore, you should routinely inspect your feet for cuts, wash your feet with antibacterial soap, and sanitize your shoes with UV light daily. Proper foot health and hygiene will help you stay free from infection. Thanks for sharing information about the causes of bacterial infection. You can treat this bacterial infection using some antibiotics. Antibiotics are especially useful for treating infections caused by bacteria.